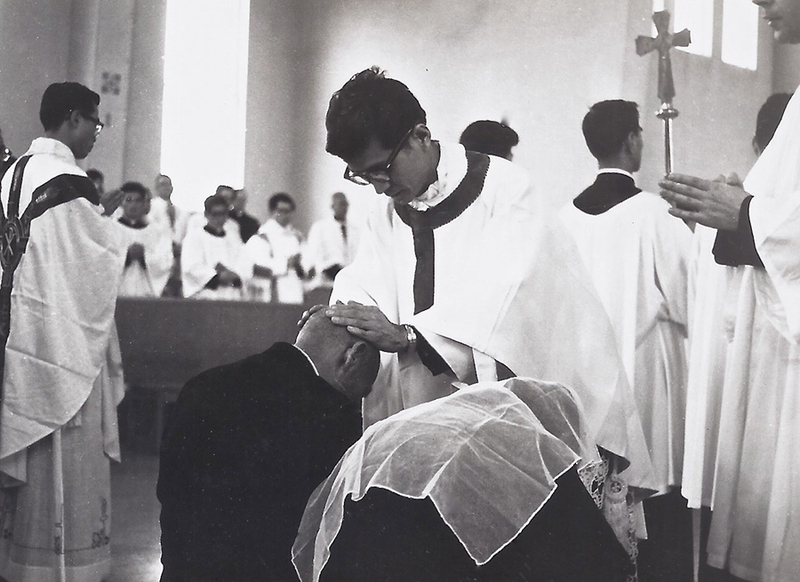 Images of Fr. 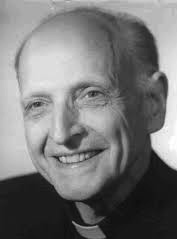 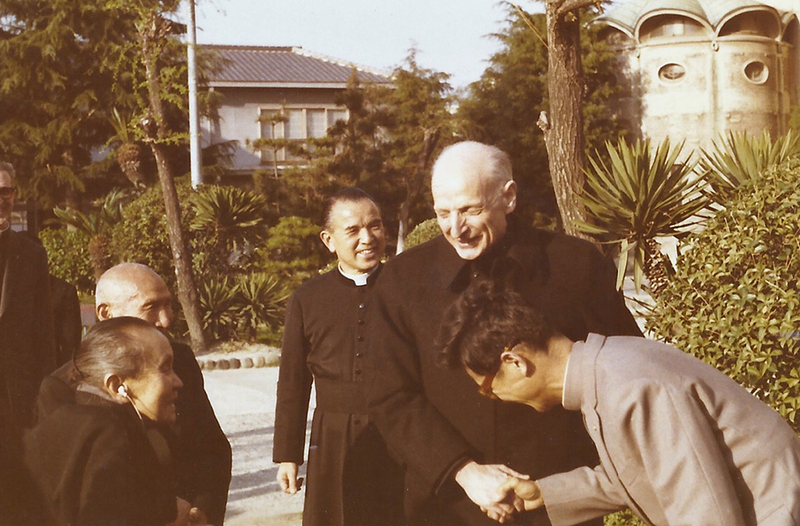 Arrupe, Fr. 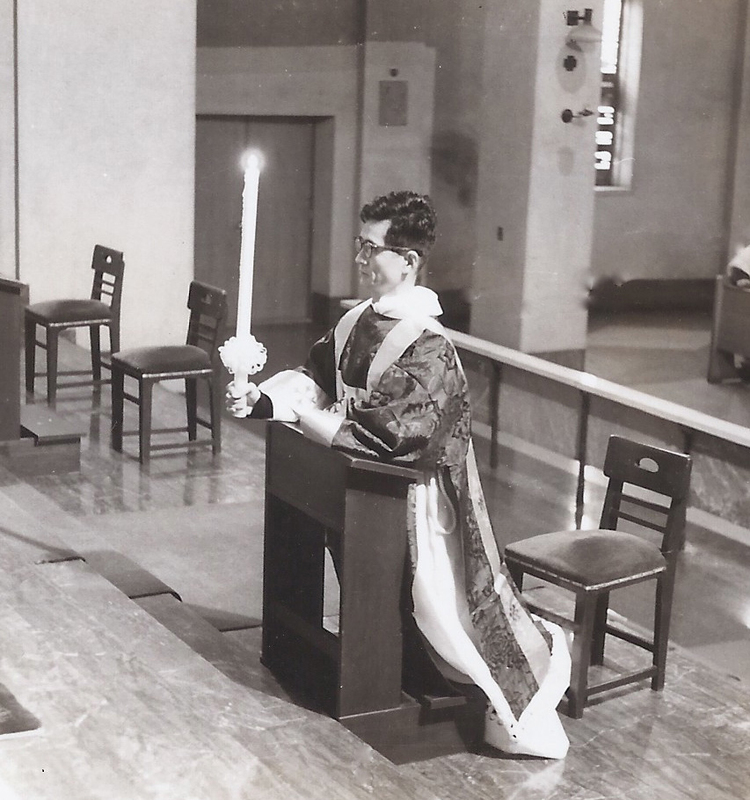 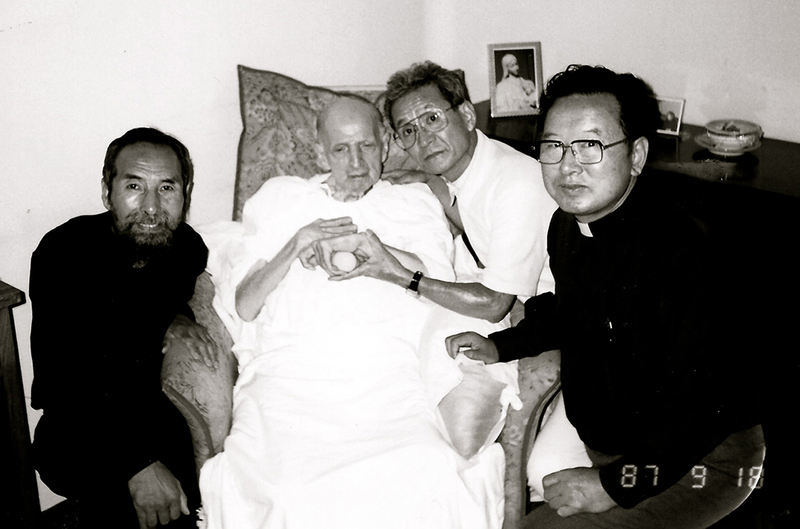 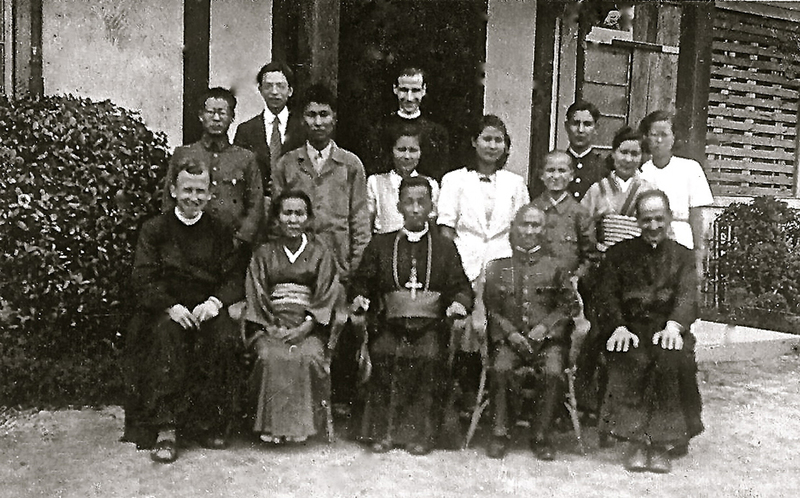 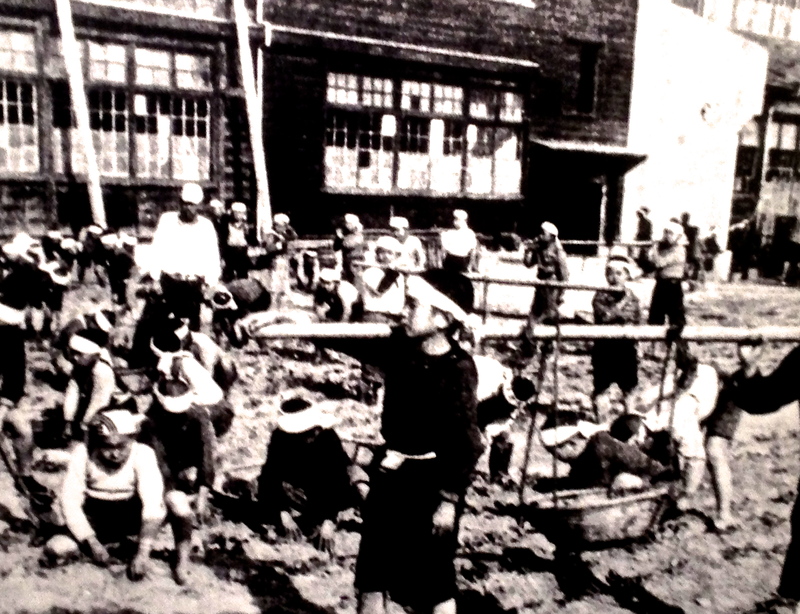 Nevel, the Hasegawa conversion, and Tadashi’s ordination as a Franciscan priest. 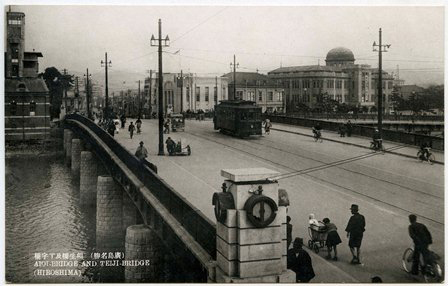 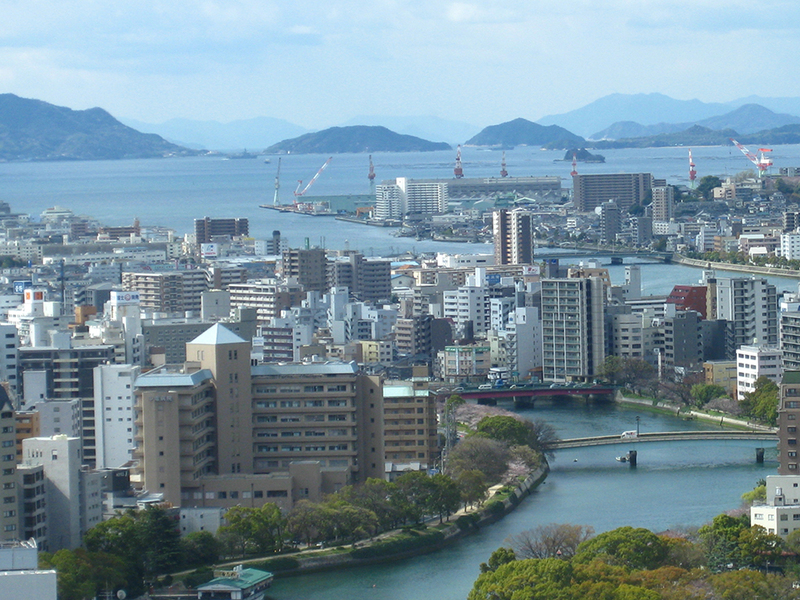 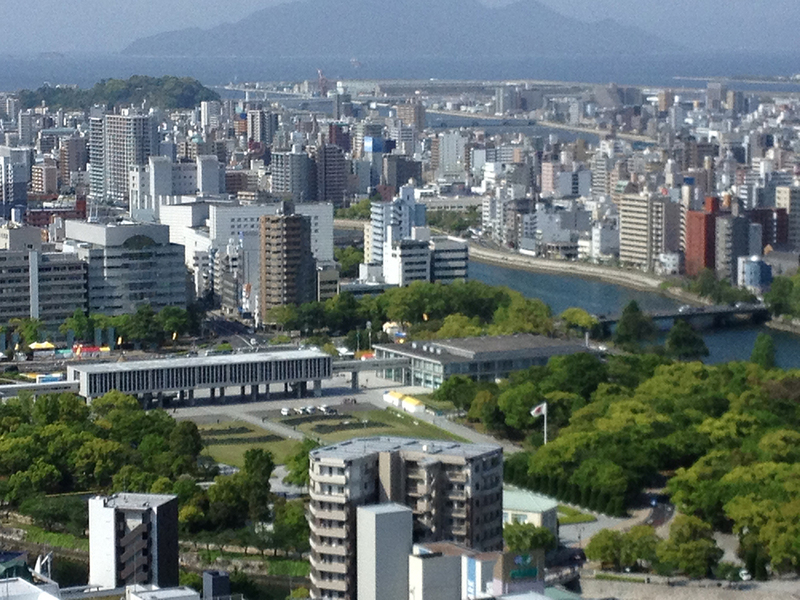 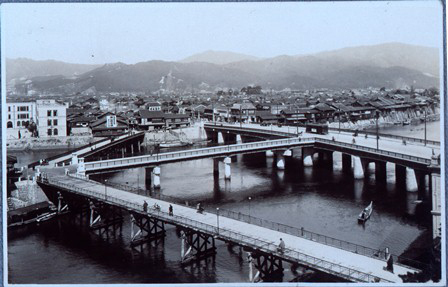 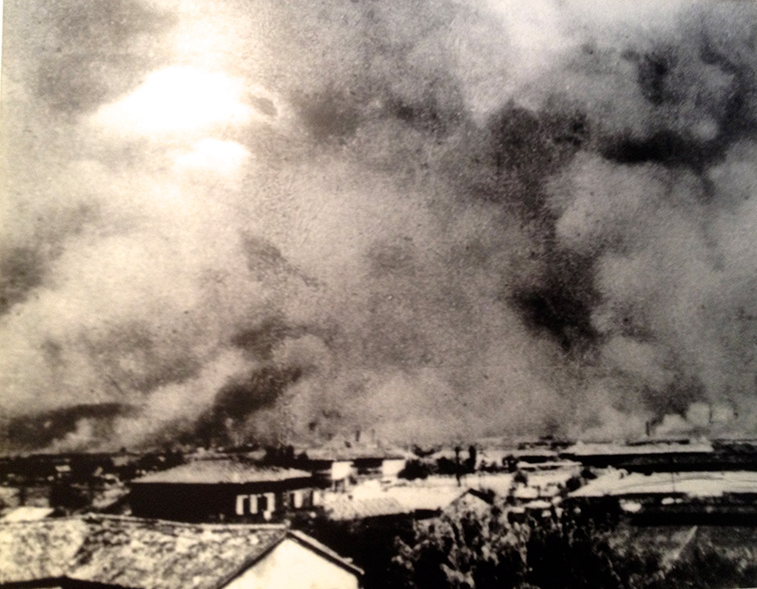 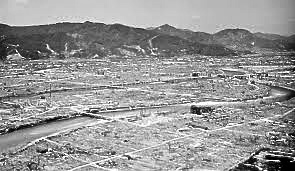 The city of Hiroshima and the Hasegawa family before the calamity of the atomic bomb. 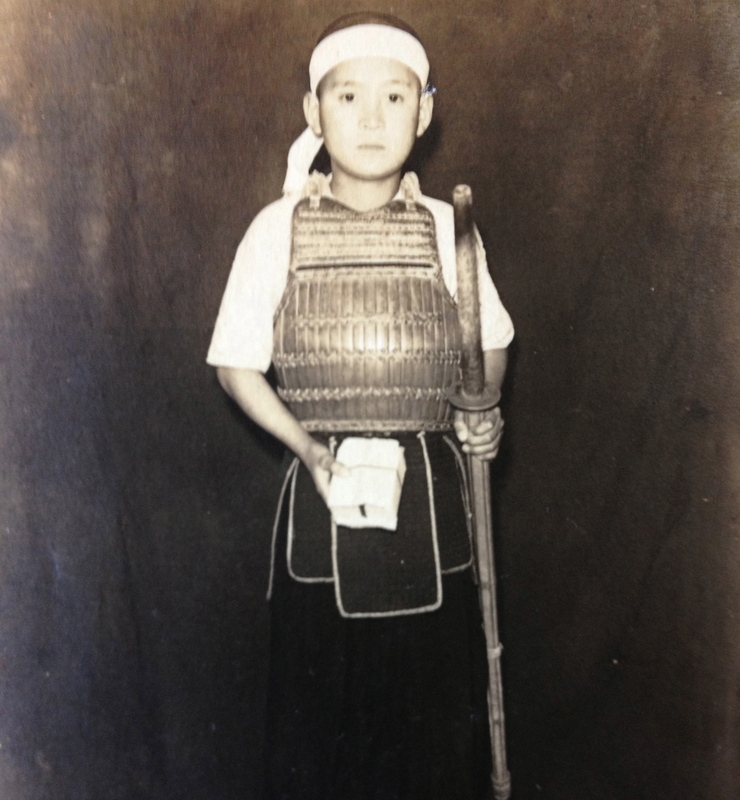 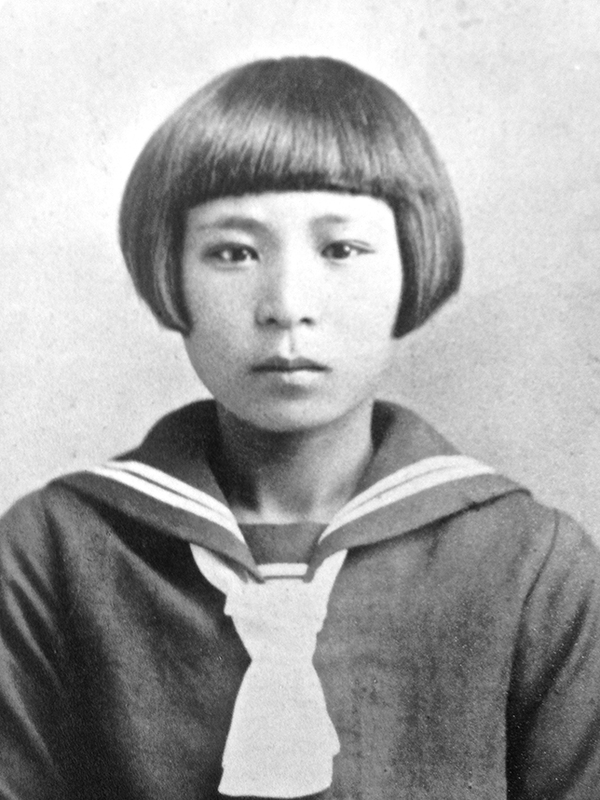 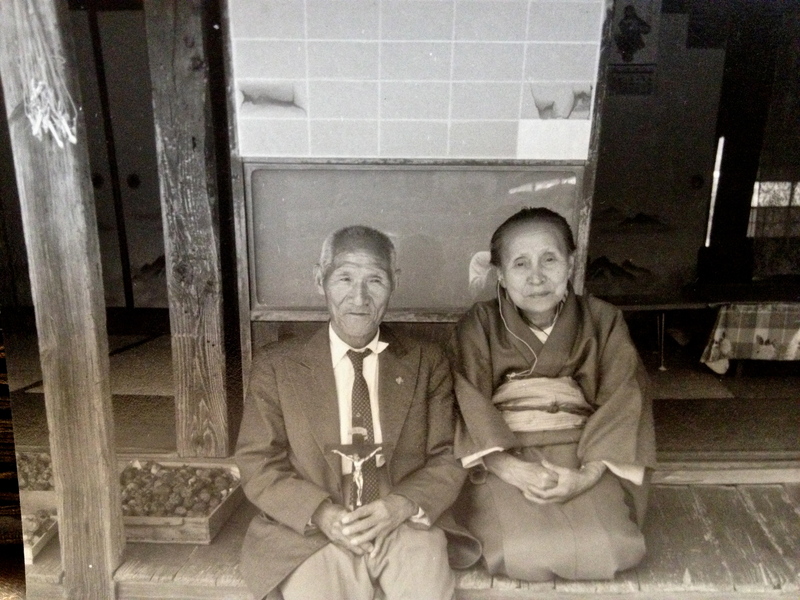 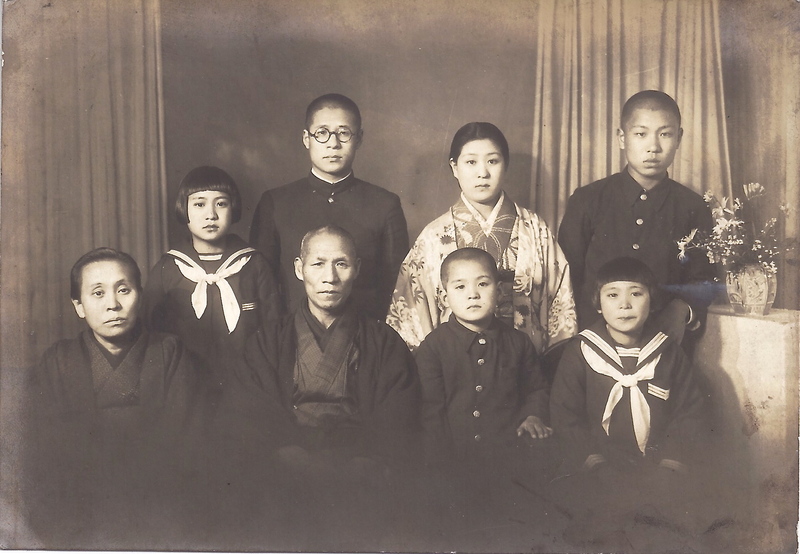 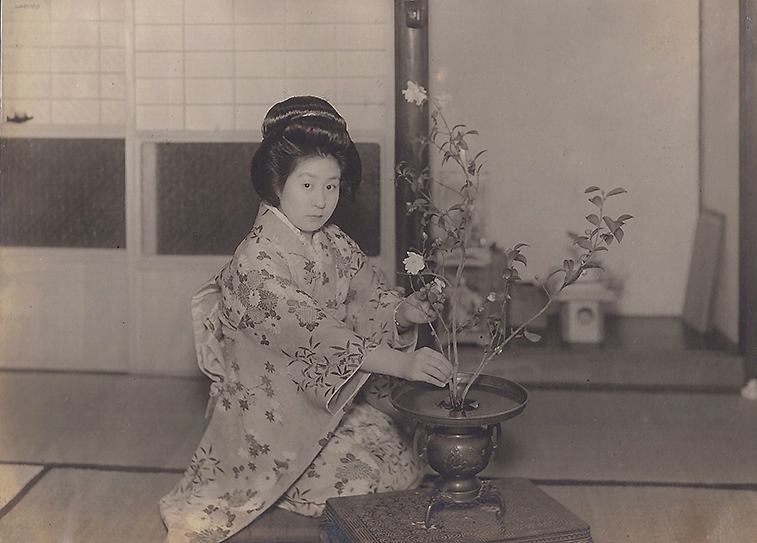 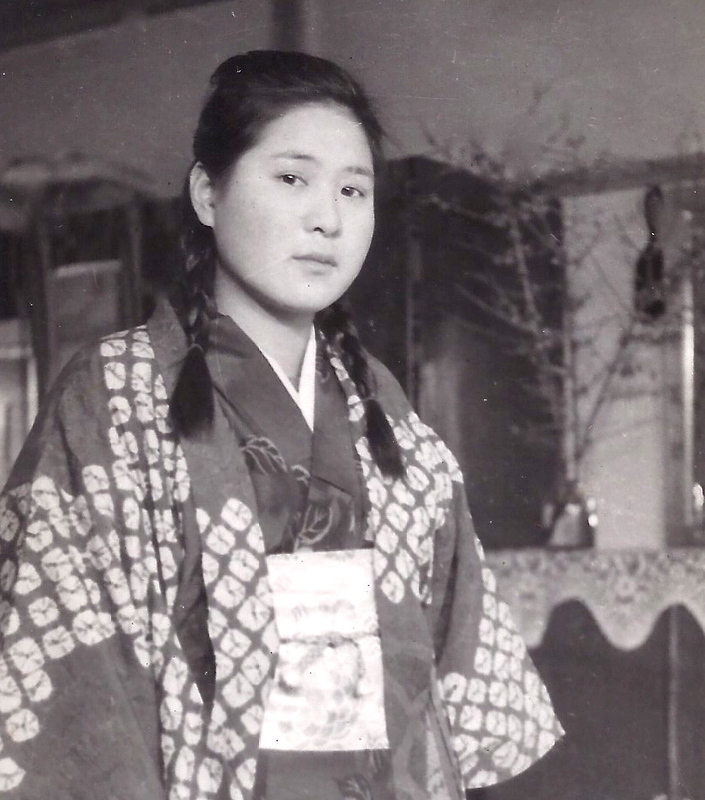 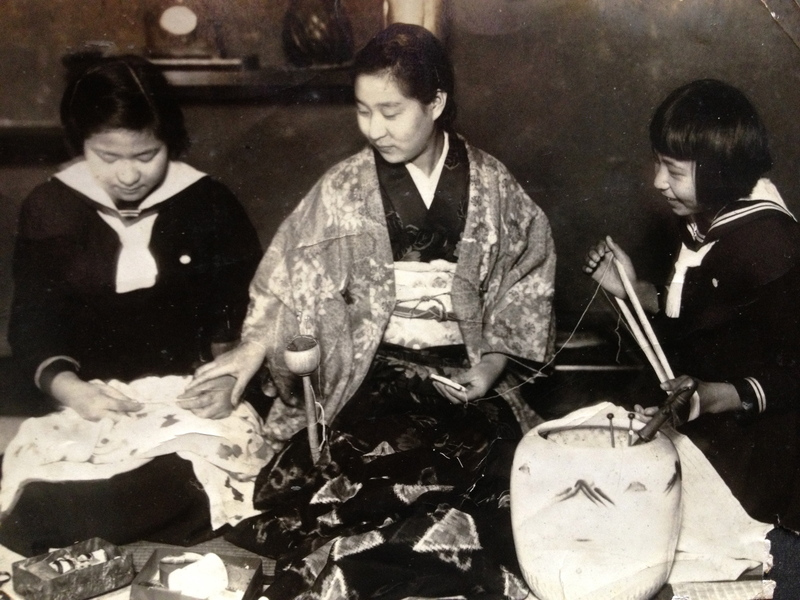 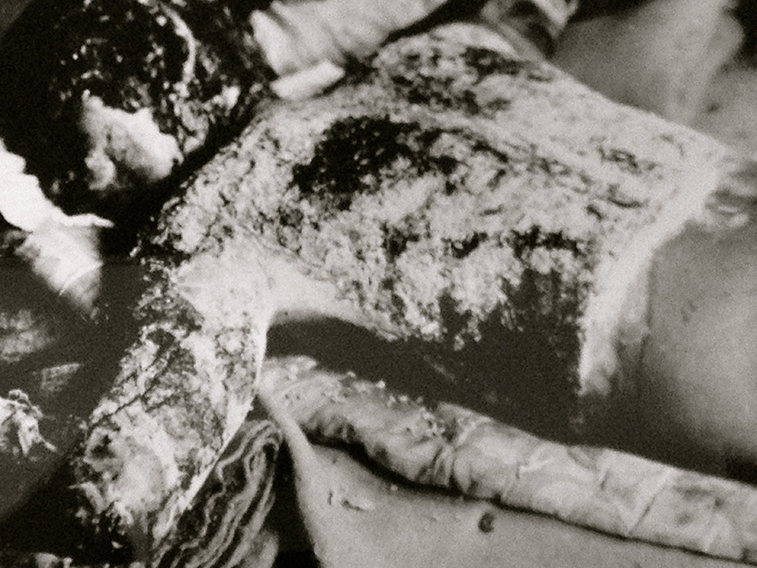 Kunie – the youngest sister who persished in the atomic bombing. 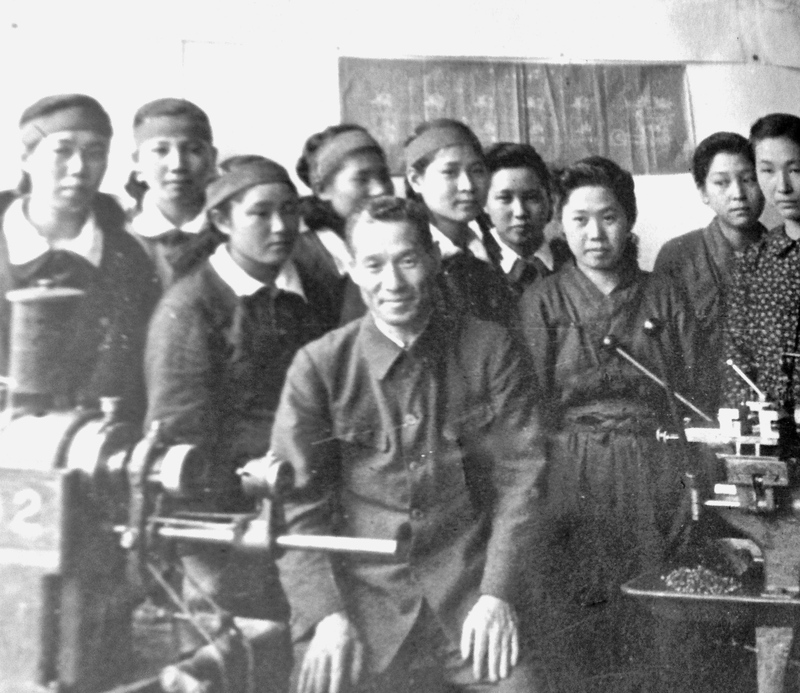 Middle sister Sachio (5th from left) with fellow workers at the Mitsubishi factory. 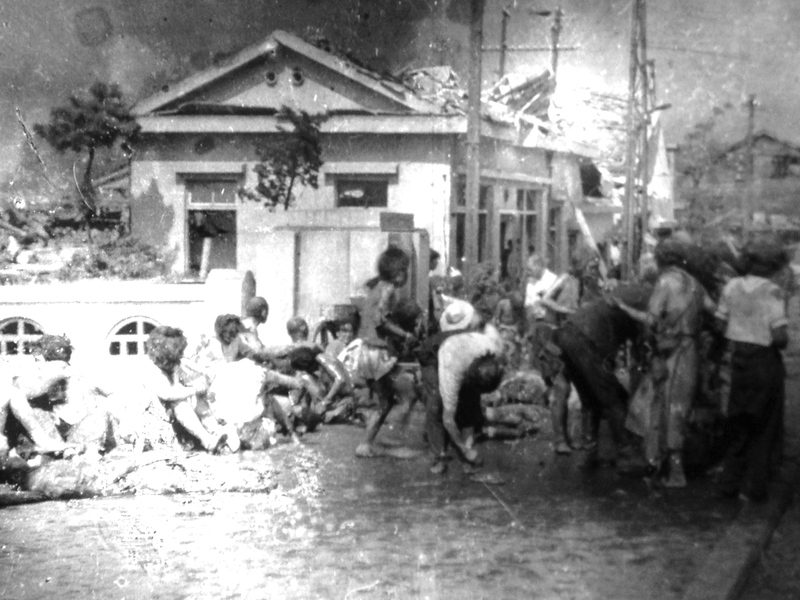 Elementary school children at work. 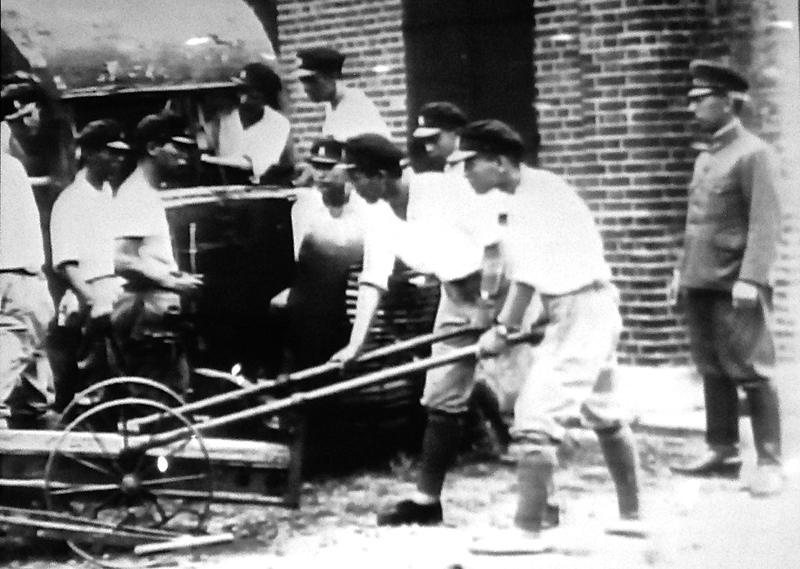 High School students mobilized for war work. 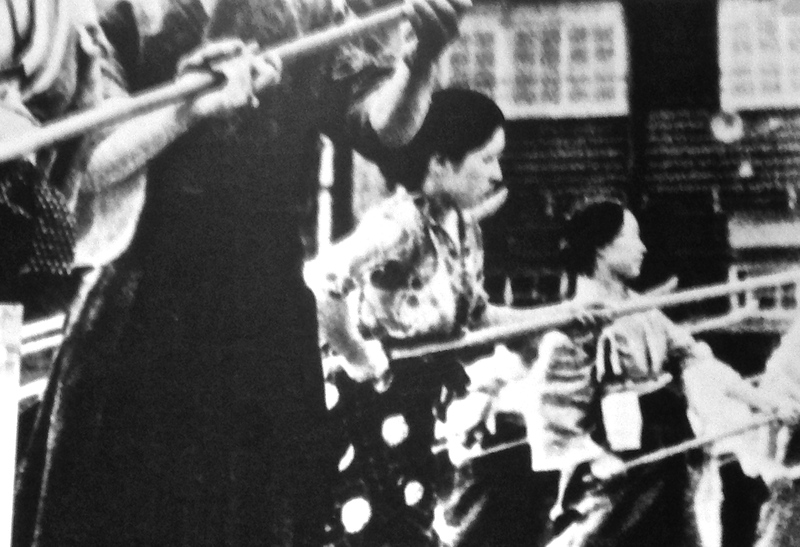 Women conducting bamboo spear training. 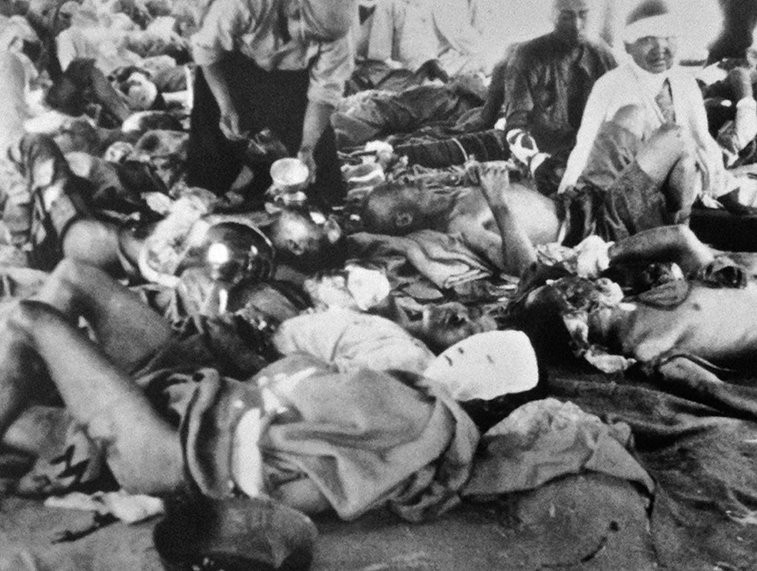 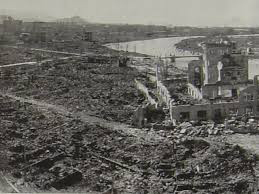 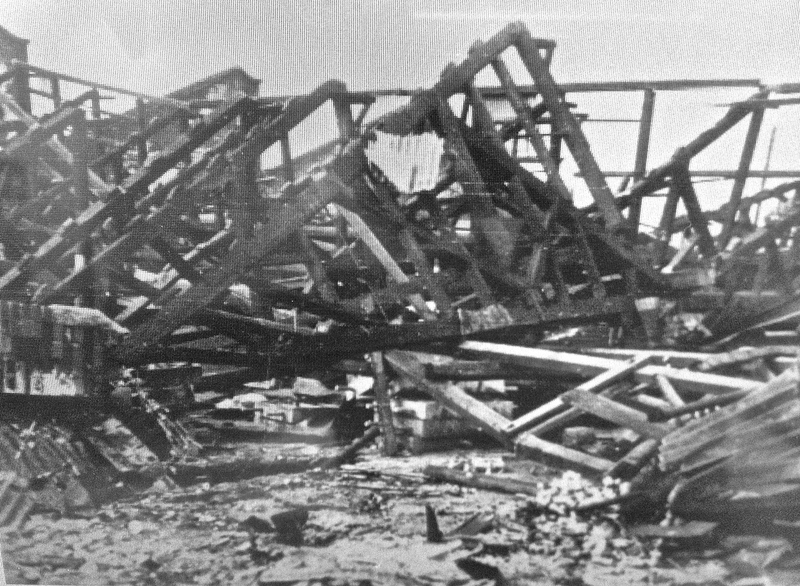 Images of the destruction from the atomic bombing. 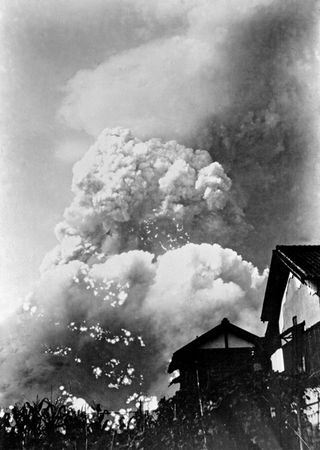 Fires raging after the blast. 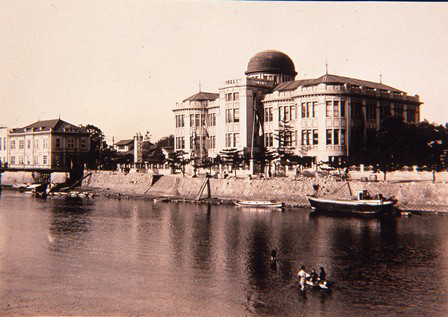 Where Tadashi and his friends were swimming. 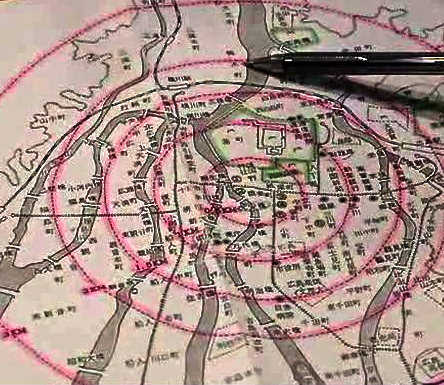 Map showing where Tadashi was – 2km from the epicenter. 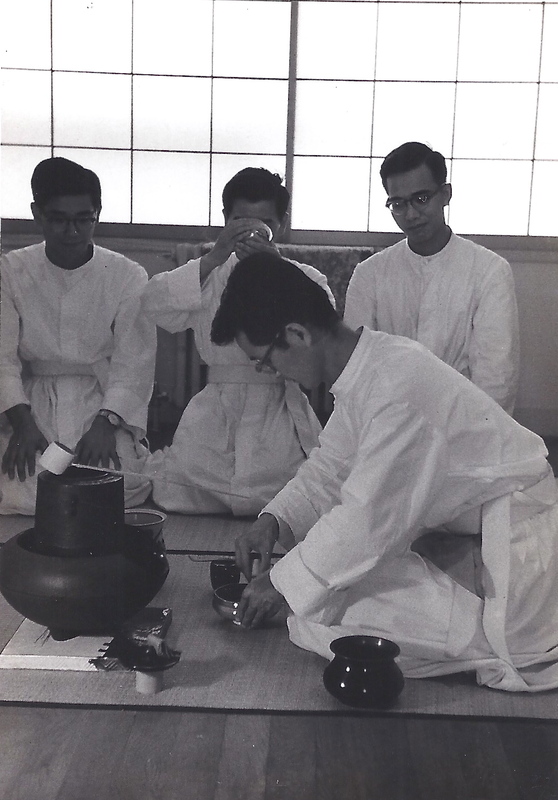 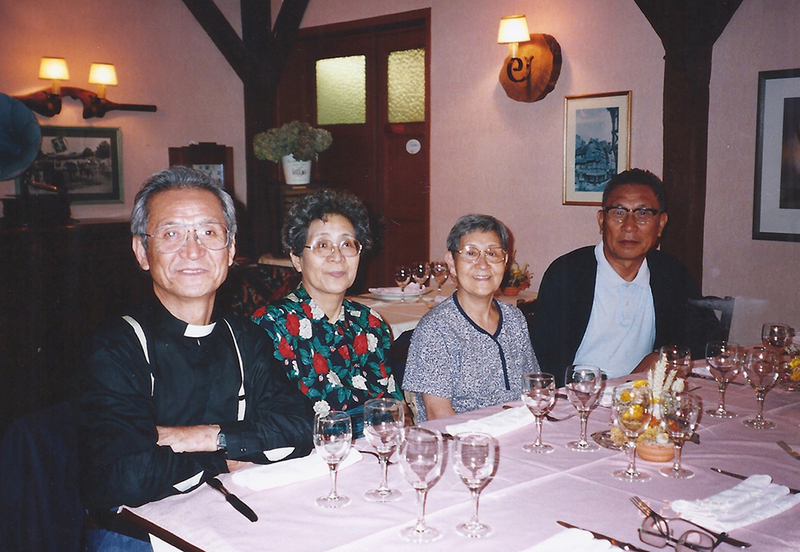 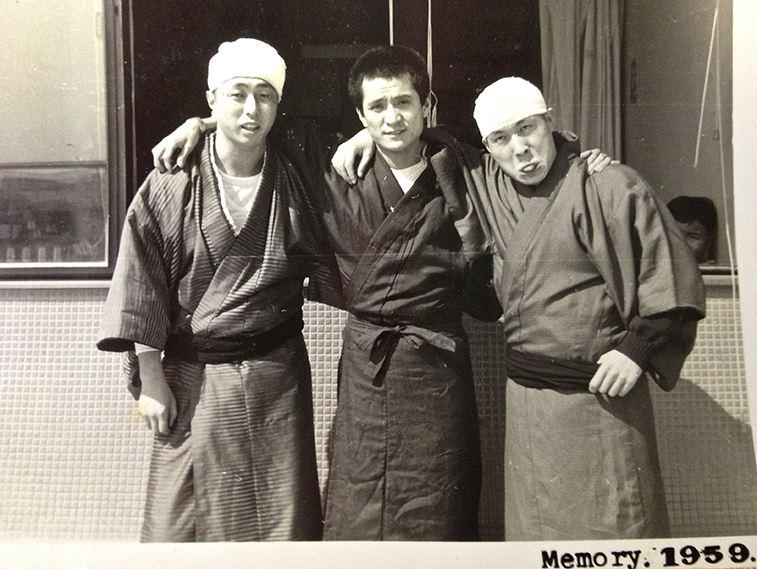 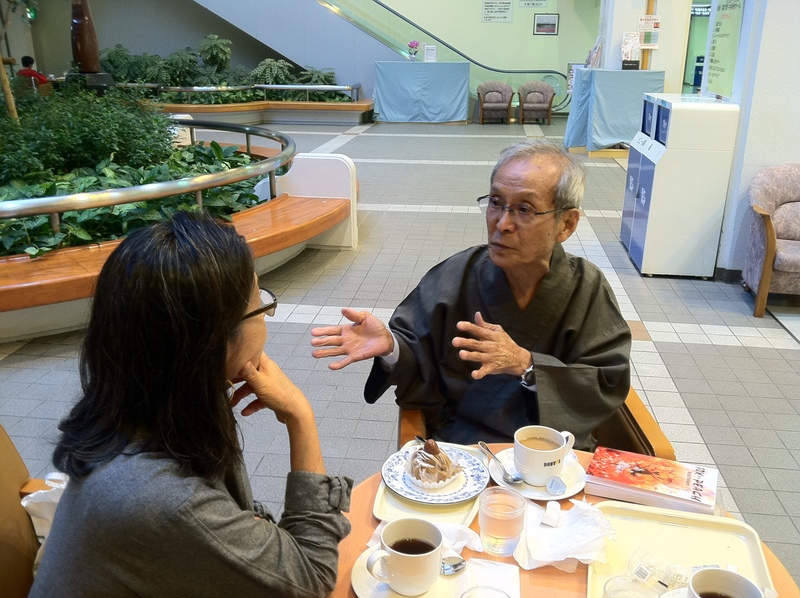 Images from Tadashi’s life during the time after the bombing when he went back to finish high school and eventually entered the seminary to study to become a Catholic priest. 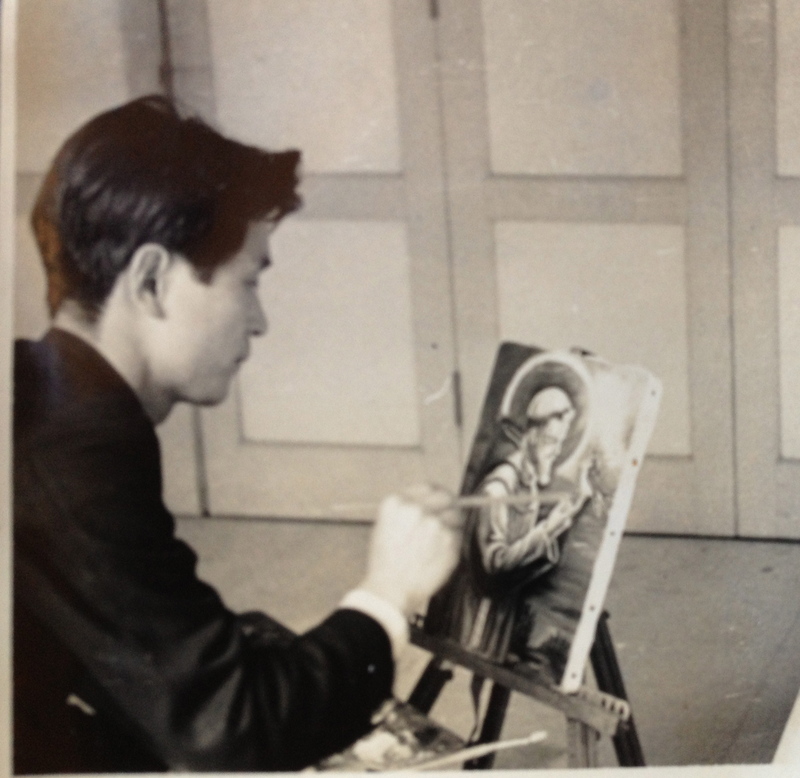 Tadashi with one of his paintings. 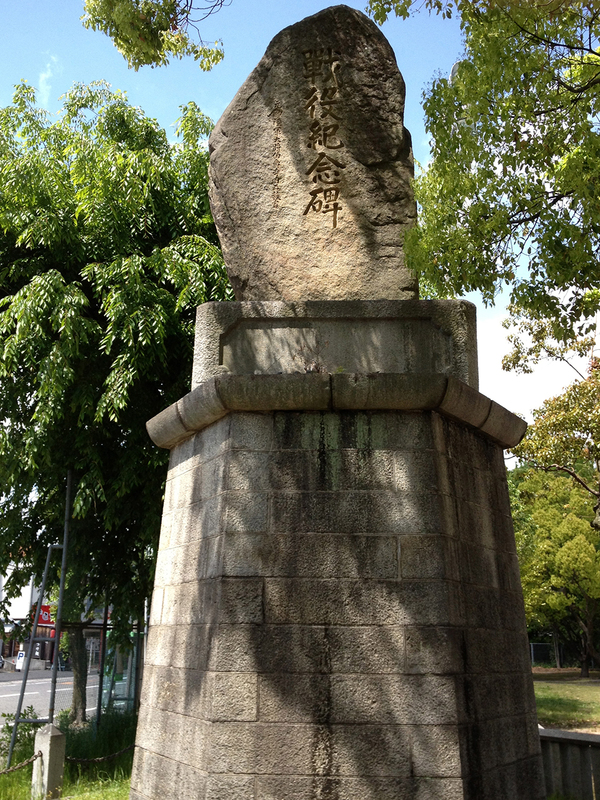 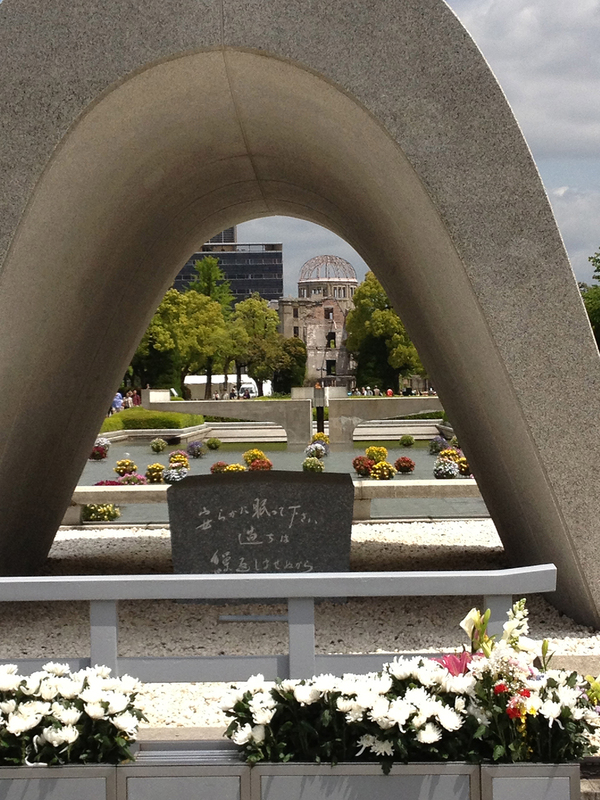 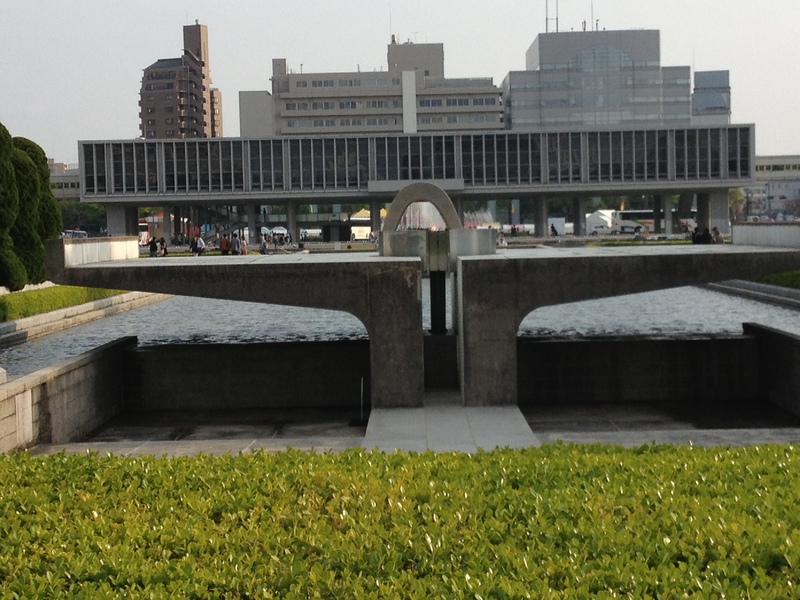 Hiroshima today plus recent images of Tadashi, his family and his tombstone. 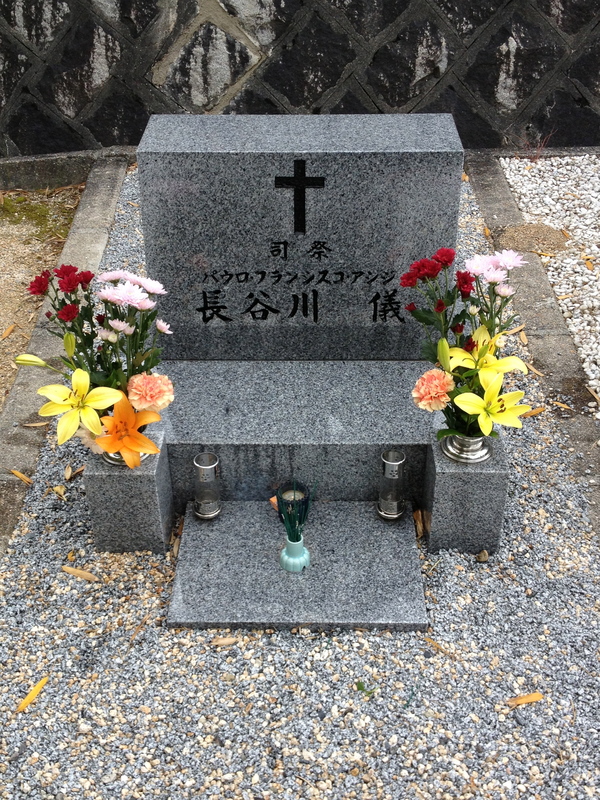 Tadashi passed away from cancer in 2012. 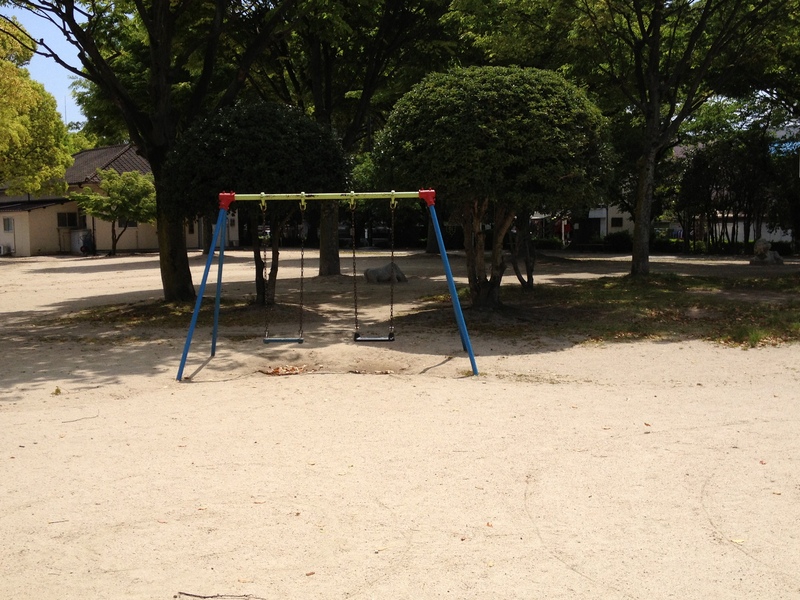 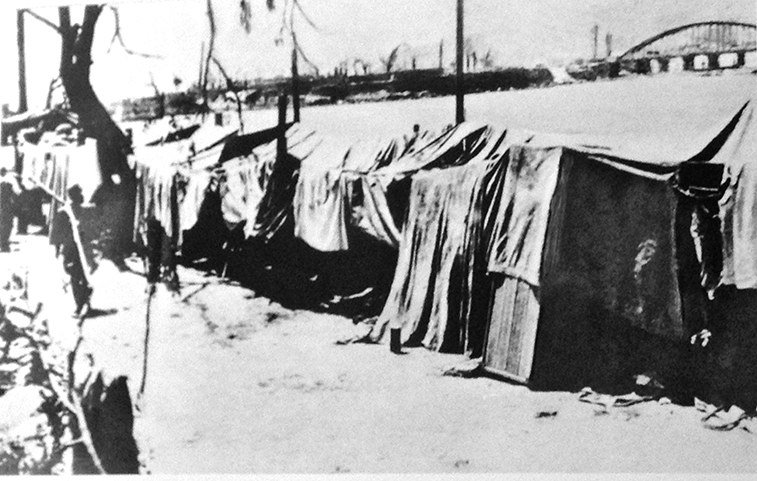 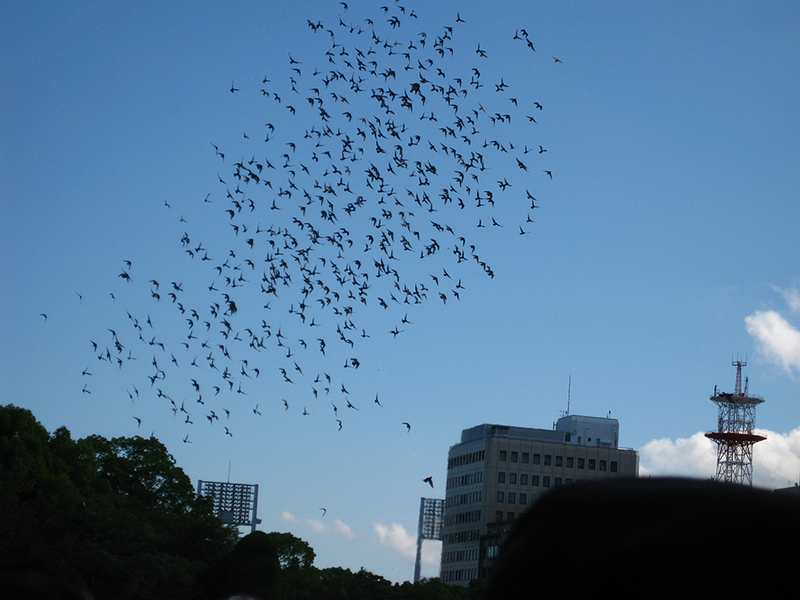 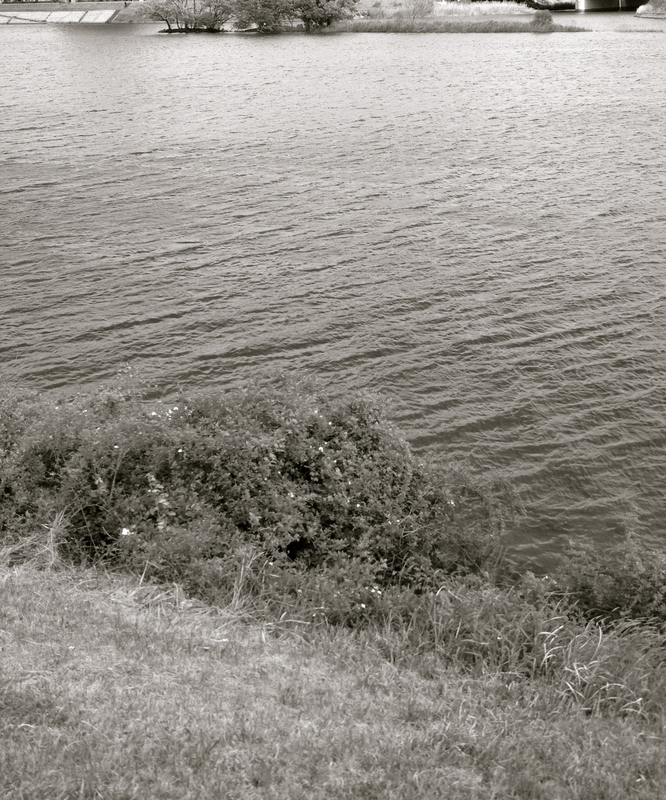 Oshiba park – where they spent the first days. 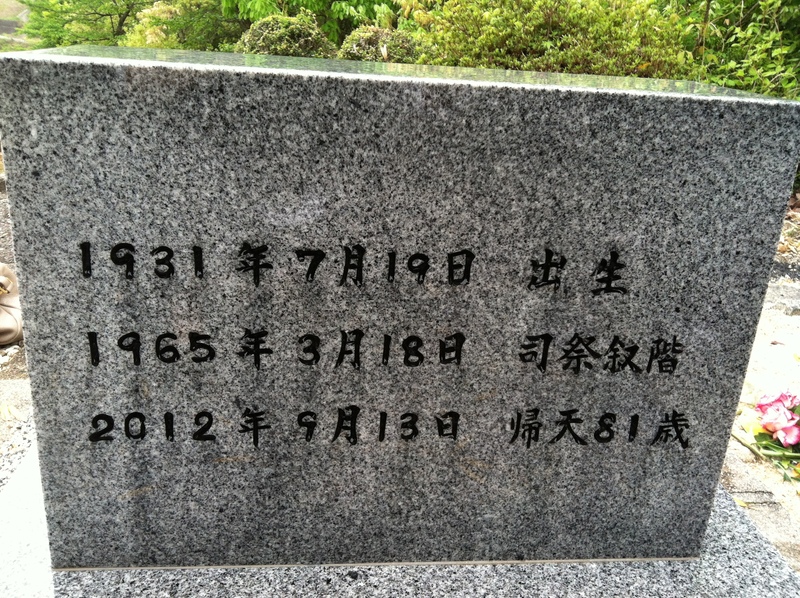 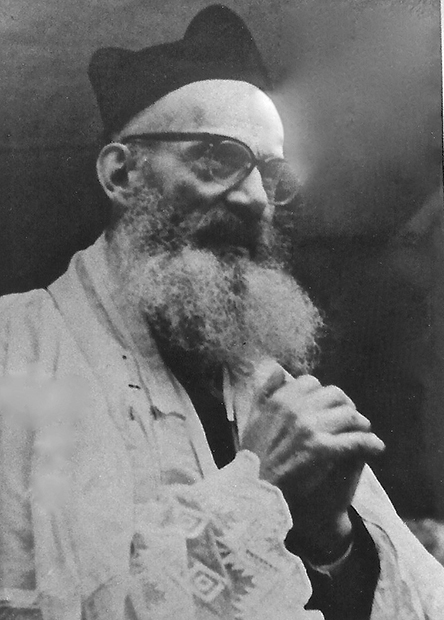 The dates he was born, ordained, and died. 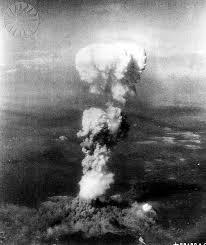 On August 6, 1945, the first atomic bomb was dropped on Hiroshima, Japan, destroying the city and killing over 100,000 people. 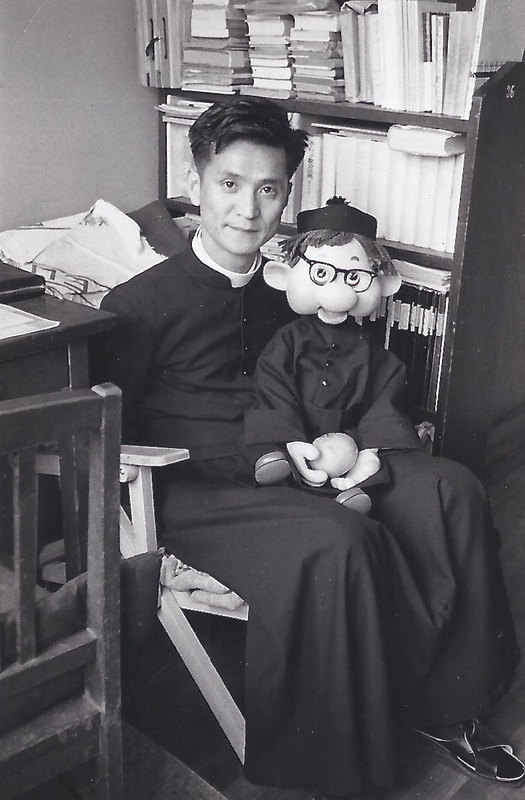 This book is the true account of Fr. 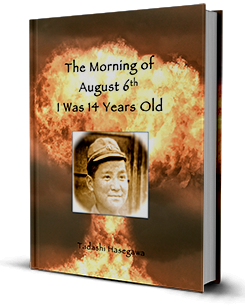 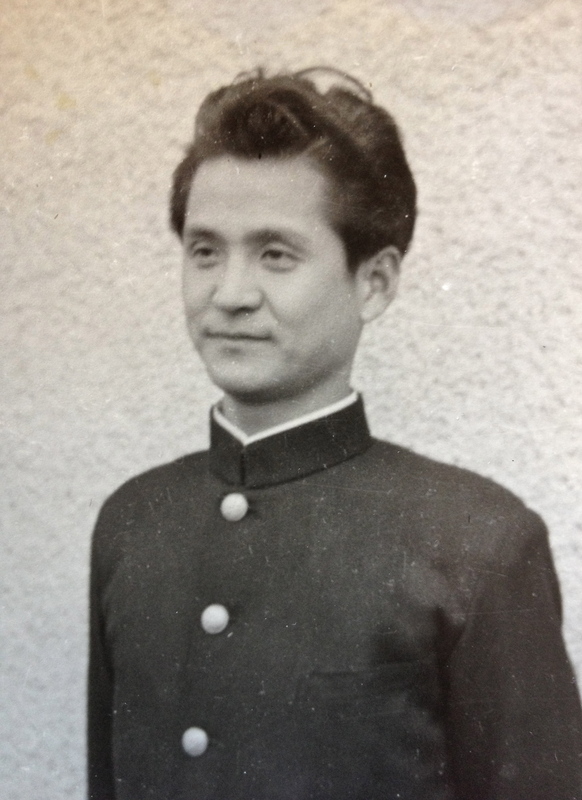 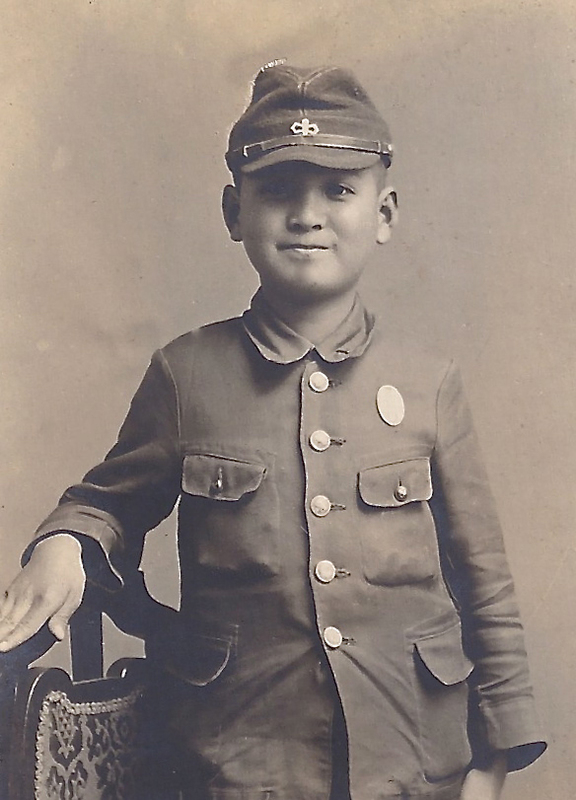 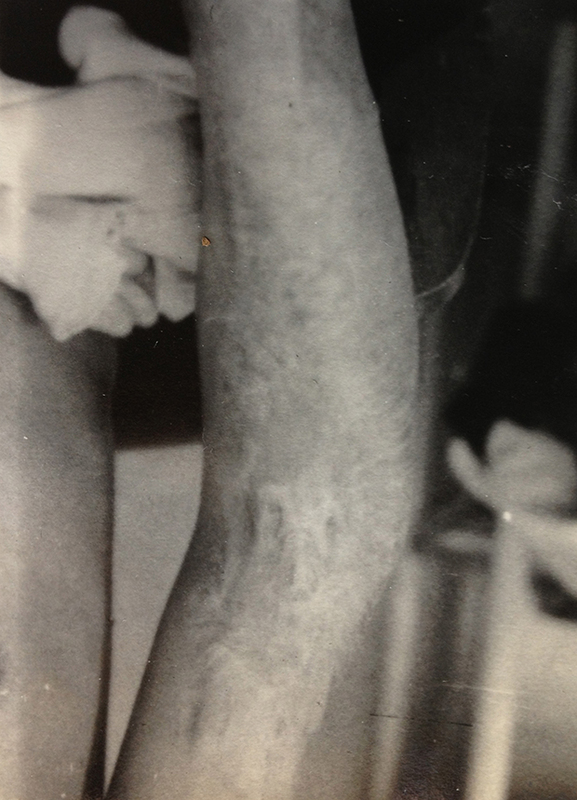 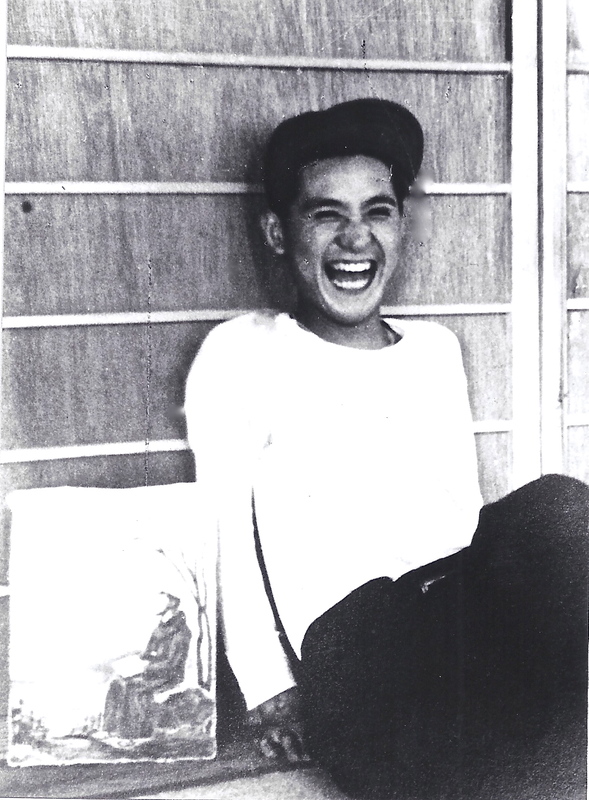 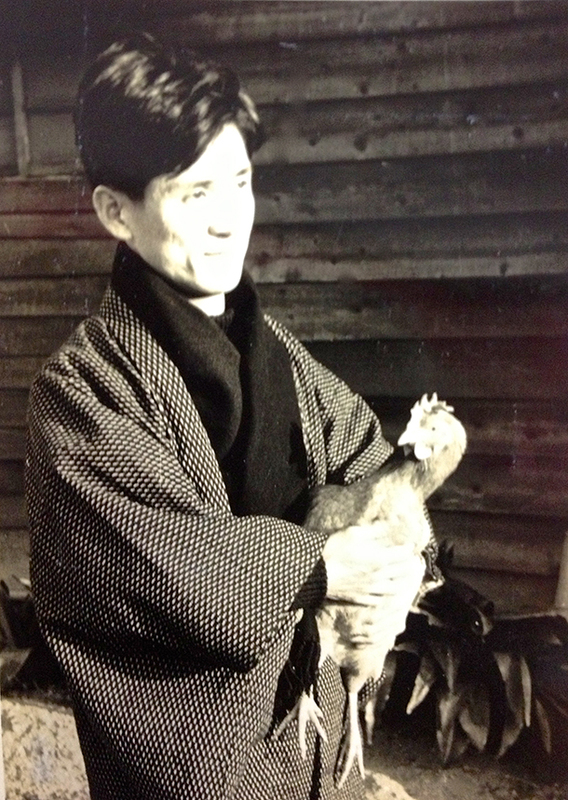 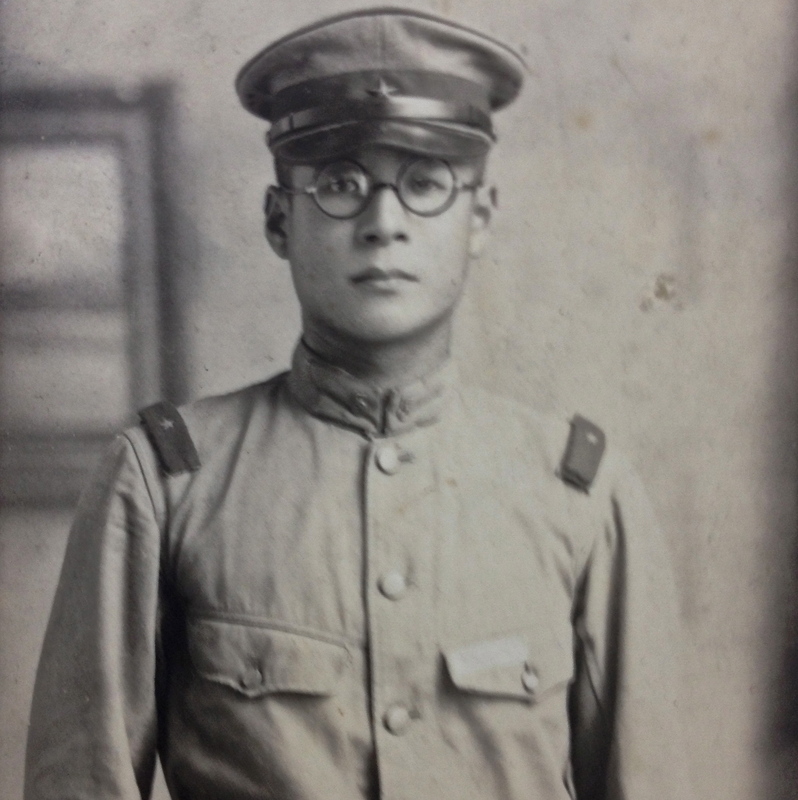 Tadashi Hasegawa, then 14 years old, who along with his family struggled to survive the bomb. His story is a remarkable tribute to love, sacrifice, and courage in the face of immeasurable horror, pain, and despair.